Denise Hruby is a writer and editor in Austria. 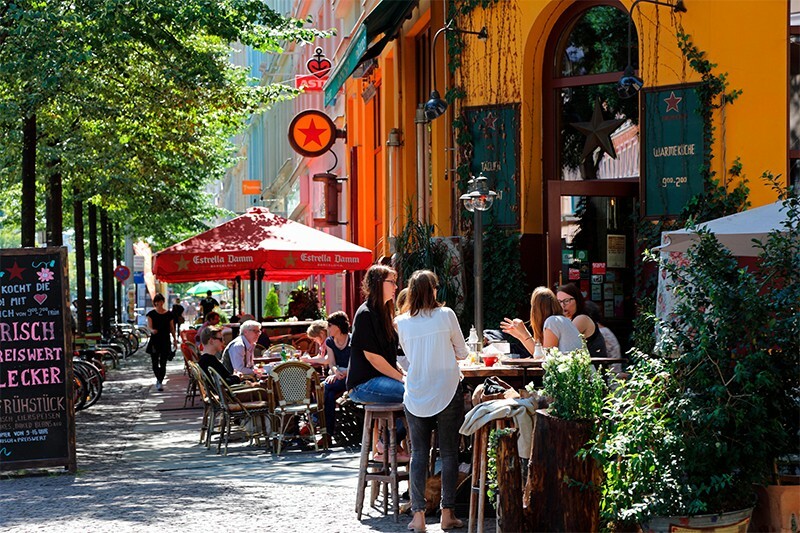 In Western Europe, Germany stands out as having a relatively low cost of living. The most expensive German city in a Europe-wide comparison is the Bavarian capital Munich, ranked at number 38. Paris comes in at 14, Dublin at 20 and London at 23, whereas Berlin is down at number 85. According to the German government, the average monthly cost of housing, food and clothing per household was just over €1,300 (US$1,500) in 2016. Each year, around 27,000 Germans earn a PhD, more than half in the natural sciences, maths and engineering. The percentage of doctoral graduates is the highest in the European Union (EU) at 2.2%. This large pool of graduates is in high demand at research laboratories around the world because of their skill level and experience, says Frauke Melchior, a chemist at the University of Heidelberg. Before starting their doctorate, German students will usually have spent at least three years on an undergraduate degree and two years on a master’s degree, with lots of hands-on lab experience. The term Fahrvergnügen, which translates as the joy or pleasure of driving, was popularized by German carmaker Volkswagen, but can be said to describe the German transport infrastructure in general. The German Autobahn system, the second-longest motorway network in Europe at almost 13,000 kilometres, has no speed limit on just under half of its routes. Between 2006 and 2016, Germany increased its domestic spending on research and development from just under 2.5% to almost 3% of its gross domestic product (GDP). This marks the third highest increase in the EU and places the country behind only Sweden and Austria in the EU in terms of its overall spending levels as a proportion of GDP. 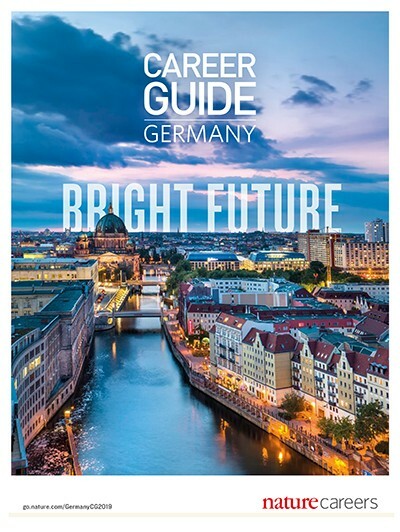 Germany’s healthy economy means it offers a wealth of employment opportunities in the private sector. Unemployment rates have been falling since the 2008 financial crisis and hit a low of 3.3% in November 2018. Valerie Domcke, a theoretical physicist at the German Electron Synchrotron in Hamburg, says: “I have the impression that in Germany, for those students who decide not to stay in research, the chances of getting a job in the private sector are excellent.” In Italy, where she worked in the past, physics students often weren’t sure where they would be able to find work. “But because the employment market is very good in Germany, nobody who has studied physics has to worry about landing on the street,” she says. A government forecast for 2030 shows that this trend is set to continue and that people in health professions, management, engineering and natural sciences will be in particularly high demand. More than half of Germany’s employees receive a so-called thirteenth salary, or ‘Christmas money’. The amount paid can vary by industry, but it is not tied to a company’s revenues and is generally paid towards the end of the calendar year. Similar schemes exist in Austria and Italy. The cost of raising children is heavily subsidized by the German government. The social-welfare system guarantees anyone living in Germany a monthly childcare allowance of at least €194 per child, with generous tax cuts depending on a family’s financial situation. Biomedical engineer Malgorzata Wlodarczyk-Biegun started her career in her native Poland and earned a PhD at Wageningen University in the Netherlands shortly after the birth of her daughter. She now works at the Leibniz Institute for New Materials in the small city of Saarbrücken, where she appreciates the proximity of her lab to an affordable daycare centre. “When the weather is good, we ride the bike to her kindergarten,” she says. Childcare costs can vary widely, depending not only on the city but also on the individual neighbourhood. Still, seven hours of childcare in Hamburg, one of Germany’s most expensive cities, can cost as little as €12. “Childcare was very good in the Netherlands, but of course here, it is much more affordable,” Wlodarczyk-Biegun says. Germany has more than 270 collaborative research centres that are funded by the German Research Foundation (DFG) for periods of up to 12 years, giving researchers the time to work on complex, long-term, multidisciplinary projects across universities and institutes. In 2017, the DFG spent nearly €3.2 billion on research funding. Such spending efforts are paying off, says cancer researcher Ivan Dikic, who is originally from Croatia but has been in Germany for 15 years and now heads the biochemistry department at Goethe University Frankfurt. “The German government has invested a lot more money in top-class science, and that attracts a lot of highly talented people,” he says. Historically, Germany’s strong economy has been spurred by migration. More than 10 million people living in Germany are not German citizens, with the majority of migrants coming from Turkey, Poland and Syria. Every fifth German has a ‘migrant background’ in that they were either not born as a German citizen or have at least one parent who migrated to Germany. When it comes to research, too, Germany has started to attract more talent from abroad, says Dikic. “I’ve been here for 15 years, and what I can say is that the scientific landscape has become more international and more collaborative, with more talent from other countries,” he says. Small fees of a few hundred euros per semester are charged to students in some provinces to cover administrative costs, but otherwise higher education is generally free.